Need direction for your life but feel uncertain how to begin? Want to follow God’s plan but not sure how to discern His will? 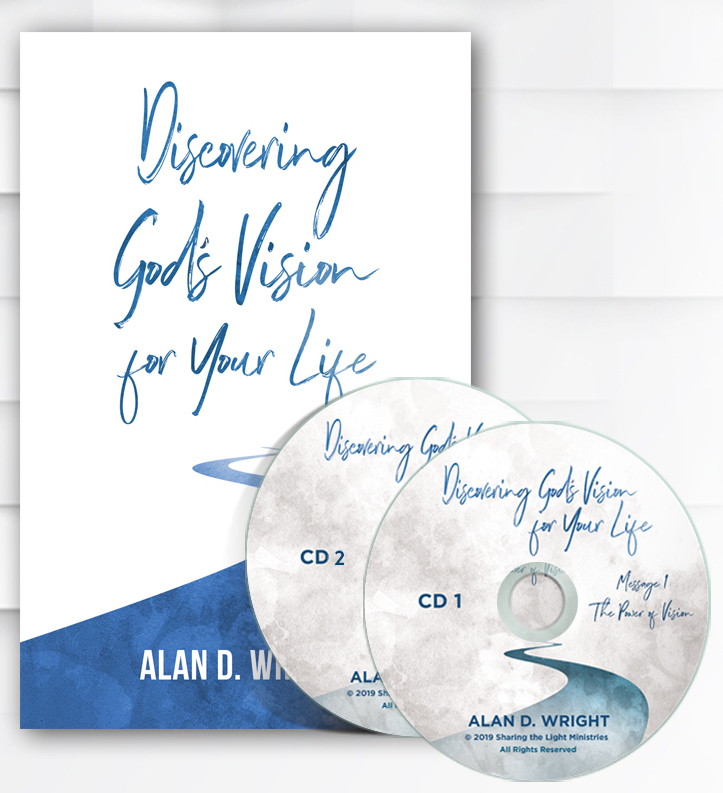 In two insightful messages, Pastor Alan Wright explains the power of God-given vision and how trust leads to discernment. You need not wander down all the wrong paths – God has a plan for your life, and He delights in revealing it to you step by step! This package also includes Alan’s instructional booklet on discovering God’s vision for your life. The helpful booklet explains how to hear God’s voice and offers a study section for deeper reflection. Discover the power of God’s vision for your life, and walk in the will of God all your days!